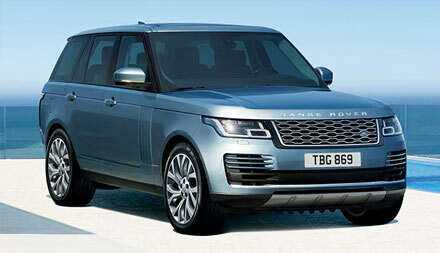 The newest Range Rover is now in its fifth generation. Given that the original model went into production in 1970, there can be no more eloquent testimony to the matchless quality and prestige of the Land Rover marque's flagship model. The inimitable profile of the car is recognisable the world over, although certain design cues give the latest model a more modernist appearance. The distinctive signature of the front and rear lights add to the impact made by the car's height and imposing front grille, whilst side air vents add to the sleek, dynamic frame. Buyers can choose between diesel and petrol/hybrid engines with the new PHEV Powertrain. 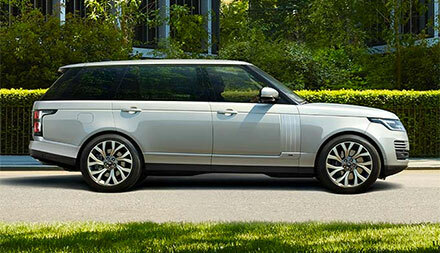 Whatever your choice the New Range Rover is sure to deliver the quality and prestige you would expect. Enquire today at either our Grange Land Rover Barnet, Grange Land Rover Swindon, Grange Land Rover Hatfield or Grange Land Rover Woodford car dealerships. At Grange Land Rover Car Dealers, we guarantee you will get the best price possible on your used Range Rover. Visit us today at Grange Land Rover Barnet, Grange Land Rover Swindon and Grange Land Rover Welwyn.